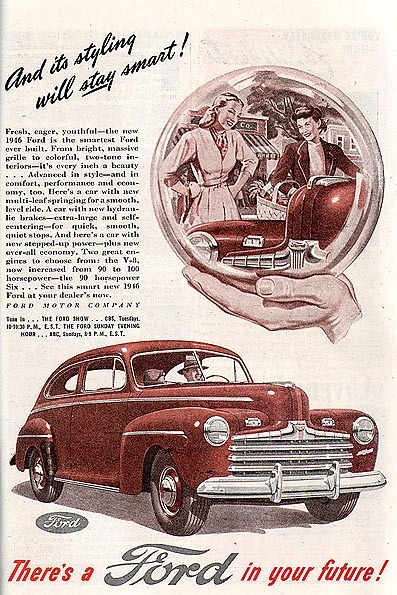 Look up sales brochures for American cars and see what they looked like way back then. Goes back to at least 1914!! Really cool!!!!!! Here's a Ford (from the link) from the year I was born (1946) - choice of a 90hp six or 100hp "V-8" (that would have been a "flathead" V-8, I assume? ).